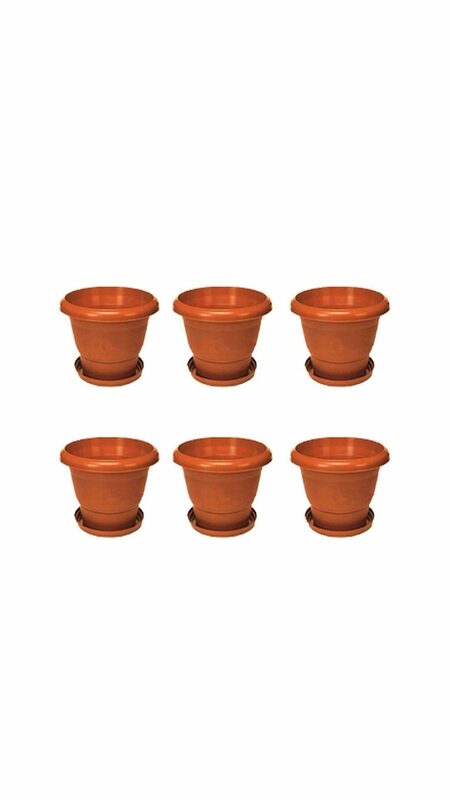 Plastic Round 10 inch Terracotta Pot Planter With Plate ( 6 Qty ) Traditional round planter This planter is suitable for both indoor and outdoor use Weather resistant and lightweight It is attractive and well suited for planting Approx 4-6 litre capacity. Dimensions: Height: 12 inch Length: 10 inch Width: 7 inch BUYER BEWARE : This product is owned, managed and sold exclusively by KOHINOOR and we have not authorized any other seller to sell this product. Hence we can not guarantee the quality if purchased from any other seller other than "KOHINOOR".